Mckinsey have just produced a report for the European Gas Advocacy Forum saying that Europe could hit its 2050 emissions target (an 80% cut on 1990 levels) for almost €1 trillion less if it built more gas rather than wind. Leaving aside the fact that Mckinsey also recently worked on the ECF’s Roadmap 2050 project on how the EU could meet its targets without gas at reasonable cost, they are not alone in making the cost argument for gas. Does the case for gas stack up? Gas looks a lot cheaper than it did a few years ago because of the shale gas “revolution”, and although there’s a lot of uncertainty about how far that revolution will actually go, these developments, along with the expansion of LNG, should extend that into the medium term. It even looks likely that the historical linkage between gas and oil prices in the European market will unravel. So gas prices should be lower into the medium term (although as current hikes show, they will still remain volatile). But the bigger argument is about the purpose of policy. Doubtless Mckinsey and others are right that it will be cheaper to decarbonise over the next 15 years by building gas instead of coal power plants, but there is a separate argument about developing other technology options for the longer term, innovating and bringing down costs through learning. 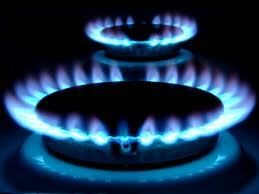 Long term arguments for gas rely on gas with carbon capture and storage working technically, and being competitive. And of course even it does work, it still locks Europe into the use of a fuel which it will mostly have to import from other regions. It therefore makes sense to develop other technologies, including renewables (and coal with CCS). The key concern, which the renewables lobby is bound to raise, is the danger that another dash for gas will crowd out the technology policy effort we need in these other areas. Given that technology policy is already the Cinderella of UK and European climate policy, this is a big concern.